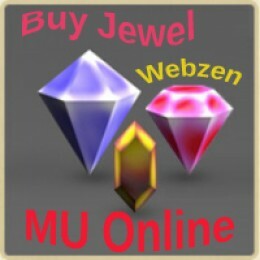 To purchase Jewel of Bless, please fill out the form, indicating contacts such as: Specify you..
MU Online - MMORPG, developed by the Korean company Webzen, has become one of the most popular multiplayer role-playing games in the world since the beginning of 2001. An extensive game world, superbly implemented group quests and catchy music highlight this game among others. As often happens, the developers used different myths and legends to create the game: the missing continent MU (the eastern analogue of Atlantis), the Wolf Fenrir and others. The interface of the game is simple and similar to the interface familiar to many Diablo games. The system of pumping is also not different: for the killing of monsters, experience is given, with a certain amount of experience, a level and a certain number of stats are given (free points that allow improving their basic parameters). The game has 6 characters. Several quests and many events. MU Online was created in December 2001 by the Korean gaming company Webzen. Like most MMORPGs, players have to create a character among eight different classes and to set their foot on the MU Continent. In order to gain experience and thus to level up, a players needs to fight monsters (mobs). MU is populated by a large variety of monsters, from simple ones like goblins and golems, to frightening ones such as the Gorgon, Kundun or Selupan. Each monster-type is unique, has different spawn points, and drops different items. Outside of a duel, PvP fighting is possible but discouraged. When one player attacks another, a self-defense system is activated, in which the attacked player may kill the aggressor within a time limit. Self-defense is also activated when a player attacks an Elf's summoned creature. Outlaws have disadvantages during game play, depending on their Outlaw level. At the start of the game the players can choose between three different character classes - Dark Wizard, Dark Knight, Elf. Players can unlock a Magic Gladiator and a Dark Lord as they progress. Also, character cards can be purchased in order to use three more character classes -Summoner, Rage Fighter and Grow Lancer. Each class has its specific powers and items. As characters level up and complete quests, they can transform themselves into stronger classes. 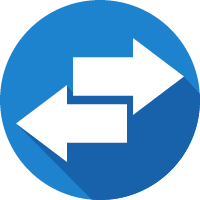 Each progressive class change grants, gain access to new spells, skills, weapons and wings as well as an associated change in appearance. Long ago, back in the time of the golden dragons and glorious knights, at a time when great mages ruled over all continents known at the time, this story happened ... Antony, the prince of the Black Knights, was approaching the realization of his stupid ambitions. "The continent of MU must be a miner's world!" His stupid inhabitants are nothing compared to my greatness! "- this was his life position." The wicked witch, who was called Lemulia, influenced Antonia with her magical power, provoking feudal disassembly on the continent of MU. "Lemulia often told About one demon, the Devil of Darkness, Kundun, who lived 1000 years ago, even before the MU Empire was born, he mentioned that the dark lord generously rewarded those who served him. "Antonias, blinded by the thirst for power, easily believed The stories of Lemulia. Antonia's advisers, who saw the dark veil of lies that Lemulia had created, were immediately executed and their memory blackened by dark magic.The army of Antonia, continuing the devastation of the land, conquered the Empire by force under the tricks of Lemulia's cunning and her witchcraft.The terrible soldiers covered by dark magic waited for Anthony Until their commanders, Anthony and Lemulia, open the gates of hell.Anthony, on one sinister day, Antony gathered his army in front of the river Cethothum, near the ancient tomb, preparing everything for the resurrection of a thousand-year-old demon. The wind fell silent and the air was filled with uncertainty, as if before the apocalypse. The river Cattotum was in a grotesque manner. The panic flashed in the eyes of Antonias. "Everything is fine, Lemulia?" He asked. The witch Lemulia, hiding in a shady cloak, nodded her head. The confusion and uncertainty of Antonius remained, but he seemed to be satisfied with her response. "Om Orakust, Hemiad, Kiratus. Le Al Hokbras, Ektua, hey." An unknown spell was uttered by Lemulia and at the same time a bluish protective curtain surrounded Antonias. At this very moment, the Sealing Stone began to emit light. The look of the madman settled in the eyes of Antonias. The dark power took possession of all living beings on the continent. The stone that seals the tomb is cracked. The millennial demon was released to bring suffering to the ancient land. "King, King of Blood!" - swept through the many thousands of faithful soldiers Antonias. Kundun, waking up from the ancient dream, gazed at Antonias and shouted: "This land is only mine, I rose again to turn it into hell!" There were only 8 pieces of the sealing stone that flew across the continent of MU. The legendary land, populated by the forces of evil, is waiting for its heroes.